Have trials, temptations and tribulations left you so confused, hopeless and bitter that you are ready to just give up? Real women with real lives need a real Savior and His name is Jesus! Experience true spiritual growth, like never before, by discovering that trials are the pathway to becoming who were intended to be in Christ so that you can serve your destined purpose. Seeing God’s Glory teaches women to understand that trials are always for our good and God’s glory. God does have a plan for our life and He often uses trials to accomplish that plan. Understanding God’s purpose for trials brings great peace and joy no matter what your circumstance is. Glory be! God can change me reveals that enduring through trials makes us perfect and complete lacking in nothing. Become all that God intended you to be and serve your destined purpose in Christ by learning how to endure through trials. 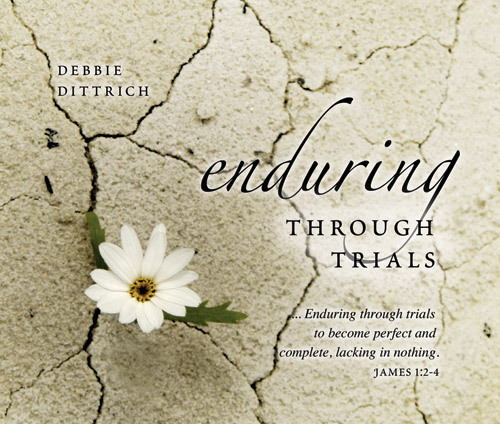 Enduring is Everything gives practical tips for enduring through trials by showing women how to recognize the enemy’s role in any trial and how to resist him. Learn how to run the race with your eyes fixed on Jesus, no matter what!